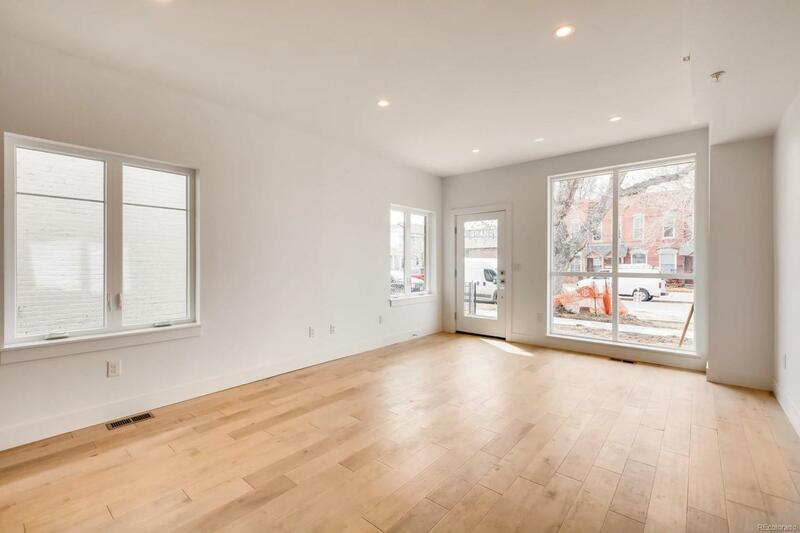 Bright, open, corner townhome in remarkable Baker West. Restaurants, gyms, breweries, distilleries and the Santa Fe Arts District are all within an easy walk. 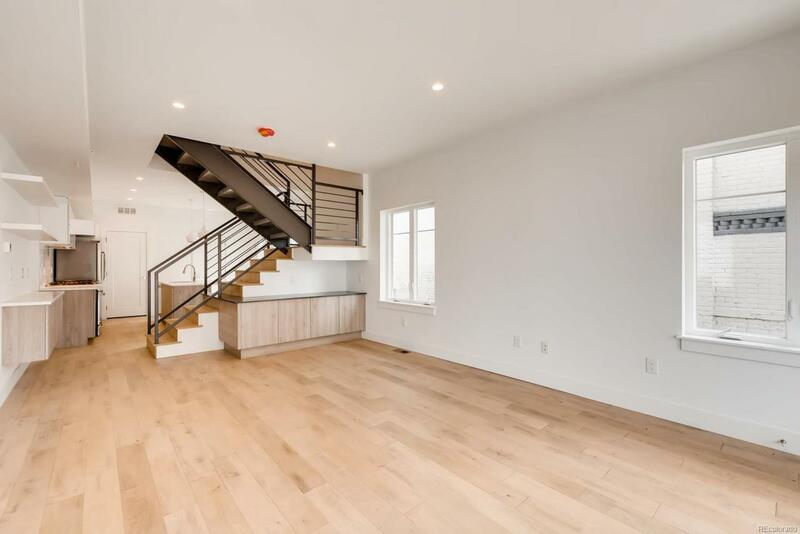 Main floor has high ceilings and birch floors through the living/dining space and the kitchen, with stainless Jenn-Air appliances (french door fridge and gas range) and beautiful finishes. The master suite upstairs has a balcony and mountain views, along with a walk-in closet and a huge tiled shower. The second bedroom is also en suite and is a real bedroom -- an adult-sized bed and furniture is encouraged. On the top floor is a rooftop deck with privacy (thanks to the corner) and spectacular views. The one-car garage has high ceilings for additional storage options. 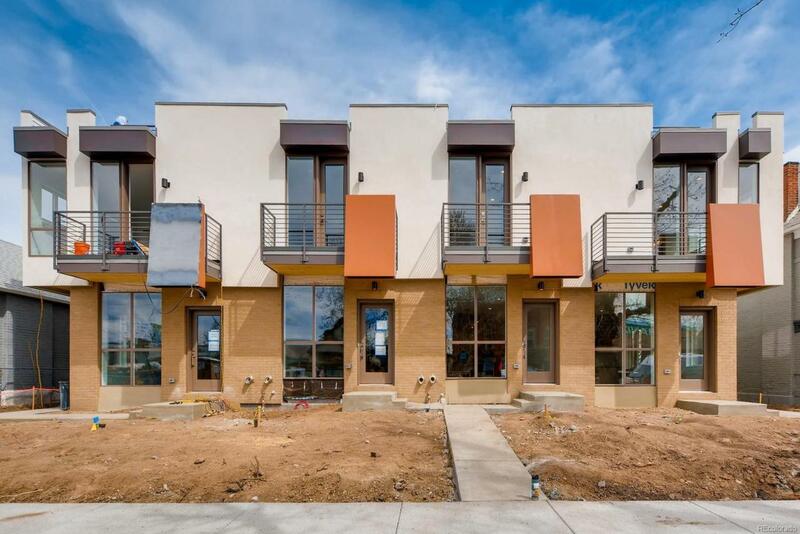 This is a beautiful, contemporary townhome (not a slot home) with the quality of construction, design and finishes you don't find at this price point. Taxes TBD.